Last week representatives from the U.S., Mexico, and Canada reached an agreement to update NAFTA, the international trade deal that went into effect in 1994. Now known as the USMCA, this video looks at how the new deal could affect various industries throughout North America. Click here to watch it. Which industries will be most affected by the USMCA? What is the purpose of international trade deals like NAFTA or the USMCA? [VIDEO] What Impact Could a Remade NAFTA Have On You? Along with being one of the most groundbreaking trade pacts in history, the North American Free Trade Agreement is also considerably controversial. 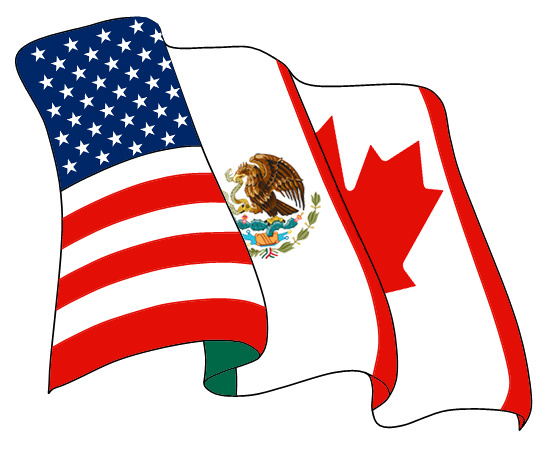 NAFTA has especially faced criticism recently, leading representatives from the U.S., Canada, and Mexico to meet and discuss the future of the deal. This video looks at how NAFTA currently impacts supply chains in North America and how changes to the agreement could affect commerce. As the Trans-Pacific Partnership inches closer to ratification in the U.S. and abroad, the debate surrounding free trade agreements like it has grown more intense. This video takes a look at one of the first of these tariff-eliminating multinational deals, NAFTA, and the ways that it has remained controversial. Do free trade deals like NAFTA or TPP provide enough of an economic benefit to justify their potentially negative effects on the U.S. job market?